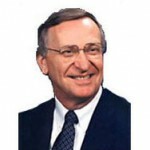 Virginia Beach Mayor Will Sessoms, a Republican, announced on Tuesday his endorsement of Senator Mark Warner for re-election. 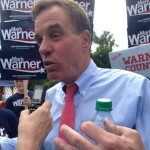 Today, the re-election campaign of U.S. Sen. Mark Warner announced that a majority of sheriffs in Virginia have endorsed his re-election bid. 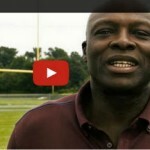 Hampton Roads native, NFL Hall of Famer, and Virginia Tech legend Bruce Smith endorsed Senator Mark Warner today in a new television ad that will be broadcast during Virginia Tech’s game against Ohio State on Saturday. Today, U.S. Senator Mark Warner will kick off the Tackling Student Debt Tour, where he will meet with students on college campuses to discuss his efforts to work across the aisle to make a college degree more affordable by finding bipartisan solutions to tackle the student debt crisis. Today, U.S. Sen. Mark R. Warner continues the Fair Shot for All Virginians Tour, highlighting his efforts to boost entrepreneurship, tourism and sound economic policies across the Commonwealth. U.S. 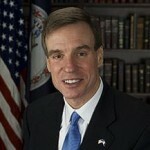 Senator Mark Warner (D-VA) urged the U.S. Department of Commerce Patent and Trademark Office (USPTO) to reduce abusive patent troll lawsuits by improving the patent process and limiting low-quality, vague patents. The National Retail Federation (NRF) has named U.S. Sen. Mark Warner (D-VA) their Legislator of the Year for his work in Congress on behalf of small businesses. Today, Senator Mark Warner was joined in Norfolk by local Longshoremen and Seafarers to call for the reauthorization of the Export-Import Bank. Warner for Virginia today announced the launch of Veterans and Military Families for Warner, a group of military men, women and families who support Senator Mark Warner for re-election because of his steadfast commitment to our veterans and military families. Today, in response to the U.S. Sentencing Commission’s vote to make lower sentencing guidelines for some federal drug offenses retroactive, Libertarian U.S. Senate candidate Robert Sarvis of Virginia released the following statement. A key Senate committee on Wednesday endorsed U.S. Sen. Mark R. Warner’s (D-VA) bipartisan initiative to eliminate or modify more than 60 unnecessary, outdated and redundant reports produced by federal agencies. 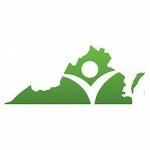 Virginia Organizing hosted a gathering in Harrisonburg over Memorial Day weekend to bring together leaders from Virginia, North Carolina, Louisiana, and Washington, D.C. to develop plans to protect and strengthen Social Security. 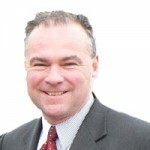 U.S. Sen. Tim Kaine released the following statement on passage of the Victims Protection Act of 2014.